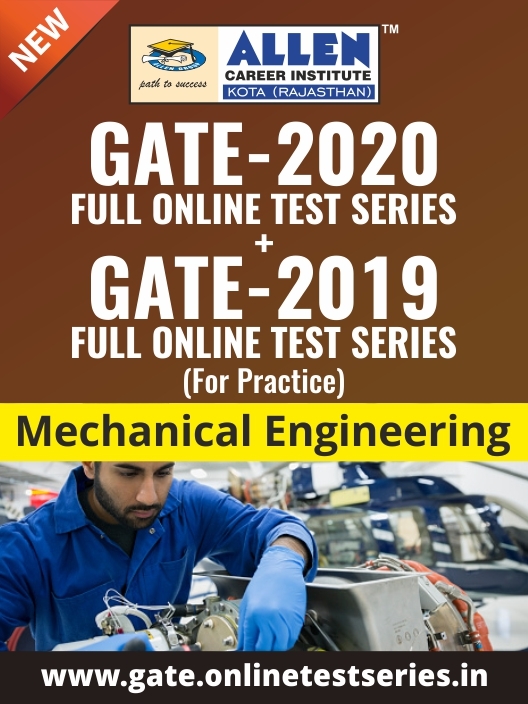 This test series gives the combined advantage of ALLEN's Gate 2019-20 Full Online Test Series and ALLEN's Gate 2018-19 Full Online Test Series (for practice)all in one. ALLEN's Combo GATE Online Test Series for ME (Mechanical Engineering) is to practice the same pattern as asked in the main exam. It is designed by an expert team of ALLEN faculties to offer the GATE aspirants a structured online preparation assistance to do well in GATE 2020 exam. The test series comprises rich question bank covering each & every topic, showcasing the difficulty level of GATE and helping students to overcome their weaknesses, rectify errors and perform better.